Starting from today starts an event in Las Vegas (US) that groups the leaders in Cloud-based developments all around the world. It is an unique chance for interested people in strength their software development projects to meet each other, share experiences and above all be able to learn directly from AWS creators. Morris & Opazo, in its continuous learning and professional development, makes presence through our CTO, Marcelo Rybertt. With more than 1.000 sessions, multiple ‘hackatons’ and workshops, the participants could try with the AWS experts all the technologies that will be later incorporated in their enterprise projects. Breakfasts, labs, talks, certification exams and expositions promise to enrich the assistants in their skills and thus increase and strengthen their expertise in Cloud-based developments and technologies. 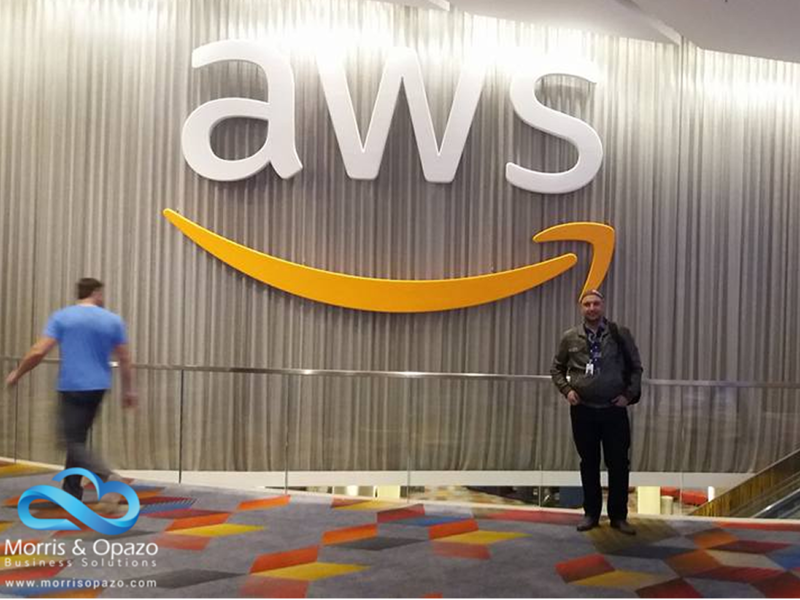 Morris & Opazo is aware that one of the most effective ways to improve its knowledge is actively participating in technical and technological events like the AWS re:Invent. We want to continue at the top of the Cloud-base computing, and we want you to be part of this trend that shows everyday how can it (with professional guidance) turn the dream of a company into the reality for a society.